As I scroll through Facebook, flicking my thumb over the daily musings and content, I notice that something magical is starting to happen. No, Donald Trump hasn’t finally been banned from social media. My friends are coming alive on my screen! A couple of years ago we all started hearing about how huge video was going to be. Now experts are predicting that Facebook will be nearly all video in five years and it’s certainly starting to look like things are heading that way. The increase in video content on my Facebook feed is heavily influenced by social media channels Snapchat and Instagram. Of course, YouTube has always been a big player, although for me it’s more like a TV channel. Facebook has been auto-playing videos for a while and they just announced that they will auto-play with sound too (which went down like a lead balloon to be honest). But it’s happening and it’s growing in popularity thanks to Facebook’s new baby – Facebook Live. So, could it be the turn of written content to follow audio content into Room 101? 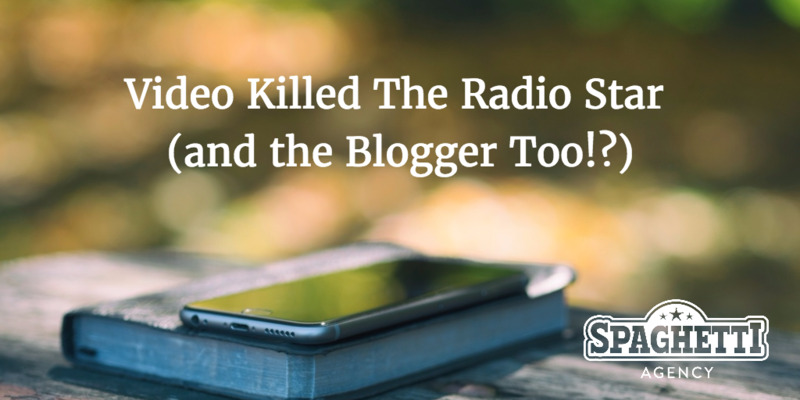 Video certainly tried to kill the radio star… but will it kill the blogger, the journalist and then the author? Having my friends and connections talking and sharing moving, visual content is attracting my attention more. It’s helping me to reconnect on a human level with them and it’s certainly making them stick in my mind more. But that’s personal preference. To me, text doesn’t really compare with video on a relationship level on social media. Social has always been about connecting and conversation and video really does add to that in a way like never before. Whilst presenting a workshop on social media I quickly hopped onto my Facebook and sent a Live broadcast from the room. I had no real agenda other than to show my delegates the ins and outs of the broadcasting platform and use my friends who joined as guinea pigs on my social media wheel. But while I was giving some tips to the guys and gals in the room, something magical happened. Two of my Facebook friends showed an interest in the workshop and asked when the next one was. Because they could see the workshop, they could imagine themselves there. Plenty of attendees say they chose the workshop because it ‘didn’t look stuffy and corporate’. It’s a bit like checking out a business on Google Street View, isn’t it? I know loads of people who also use the 360 videos to check out hotel rooms before booking them. Video helps your potential buyers to experience and feel what it’s like to work with you. It helps them to decide to buy from you. Creating video makes you famous! TV is dead to me. Honestly. I rarely watch it. I watch social media and the younger generation (I’m 38) watch YouTube over the old TV box. It feels like the people I meet in real life after I’ve seen them on video are famous. I’ve only seen them online, on a screen, and for some reason that creates the same feeling as it does when you meet a famous person. They’re the same, but slightly smaller, larger, tangible… I don’t know how to explain it but if you’ve ever met a famous person it’s ‘that feeling’ that I get. Do you? Related post: OMG! It’s You. You’re Famous! That fact is, video is real. Social media video is more so. Back in the 50s the world trusted a cowboy smoking a Marlborough and thought it was a good reason to smoke. Now? Not so much. Now we’re very sceptical and we don’t believe ads and sales people. What we do believe are our instincts and they’re working away all the time. When you meet someone, you make a judgment and you decide if you know, like or trust them pretty much straight away. (You also decide if you want to mate with them or eat them but that’s not so appropriate in a networking meeting!). Creating video content of you or your team allows potential buyers to meet you before they really meet you. Just this week someone told me that they’d bought from me after watching a video and deciding that they ‘liked me’. Awesome. 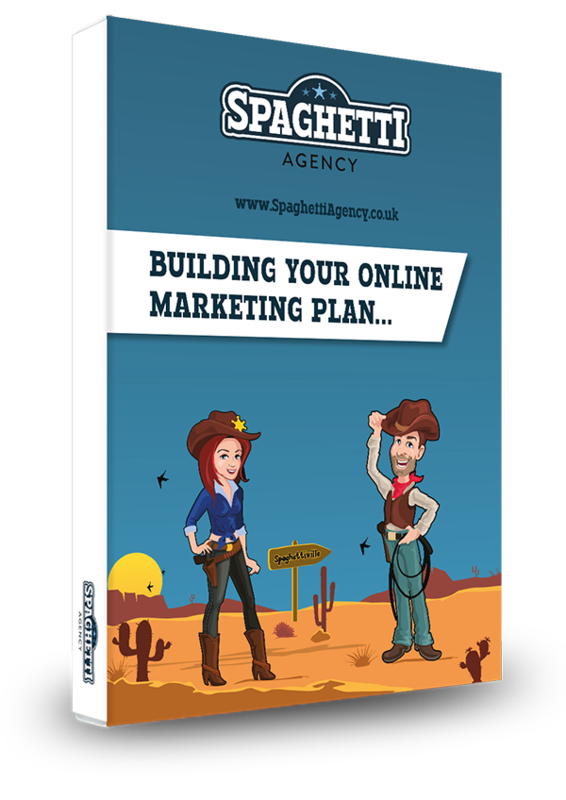 Video is far quicker to create than blogs and articles! 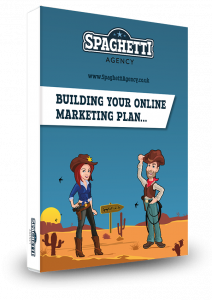 Time poor but need to create content? Video is your friend. Writing an article like this can take an hour and then you’ve got to post it and make it look good. Video can be quick and simple and you’ll get the point across super-quick too. Not only will your post be visual and easier to create it’ll be easier to consume, too. Everyone is time-poor in this information-rich world. We’re all looking for shortcuts to content consumption, and video is a great way to do that. But is written content dead? Google still likes to see your content and what Google wants it invariably gets. Although video gives you the added benefit for SEO it’s best to still create written content and use the video alongside it for the extra ticks from Google. Also, videos aren’t going to be watched later at night when your audience are watching TV and surfing the internet at the same time. Videos also won’t be watched in the office when someone is ‘looking busy’ at their desk. There is a growing trend to have the captions on your video so you can watch but read instead of listen. Jo prefers this. It’s a constantly evolving arena. Video on social media is a powerful force though and it’s a great way to get your brand and your personality right into the minds of your audience. Offer value, offer an experience and try to grow your relationship with your audience by being real. Keep it real and keep it coming. Social media is evolving. If you need help getting started with video come and have a chat with me in the Social Saloon for one 121 training. This article looks at personal usage of video content across social media in a really interesting way. It’s easy to see how this is going to be applied to brands too, who very soon will be focusing on using the benefits of video content that you mention to interact and relate to their consumers on a more personal level and push them to make a purchase. it’s very interesting times for social media. In one hand video is all over the place and almost too much for users to consume, and in the other hand to powerful to ignore! Very interesting, I think video is far more fun to produce as well. It is… and it’s quicker, too!